The Nikon COOLPIX L20 is a 10 Megapixel compact with a 3.6x optical zoom and a 3in LCD screen. It’s aimed at point-and-shoot photographers and priced at the budget end of the compact market – indeed it’s one of the cheapest big-brand cameras you can buy. 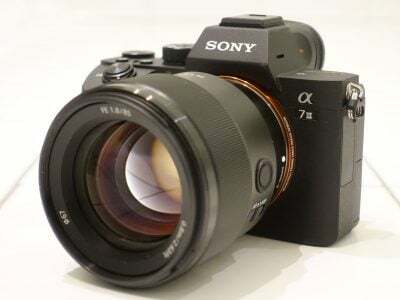 Announced in February 2009 alongside the 8 Megapixel L19, it’s a no-frills camera that will appeal to anyone who finds the advanced features of modern compacts just get in the way. The L20 gives away very little in terms of control, so if you like to have choices over things like metering, auto focussing, and ISO, this isn’t the camera for you. If, on the other hand, you want to be able to take pictures without having to worry about any of those things, or even knowing what they are, the L20 could be the compact you’ve been waiting for. Competition at this end of the market is keen. But while many manufacturers are tempting buyers with more pixels and myriad features, Nikon is trying a different tack. The L20 has many of the features sported by its competitors – face detection, scene recognition and red-eye correction, for example – but these are implemented automatically and there’s nothing for the photographer to do. Simplicity is the L20’s big selling point. We’ve put the COOLPIX L20 up against the Canon PowerShot A1100 IS. As well as making a direct comparison of the image quality of these two budget compacts, we’ll see how they compare in terms of ease of use. What’s best – a more advanced camera with an easy mode, or one that does away with the bells and whistles altogether in favour of simple point-and-shoot operation? The appearance of the Nikon COOLPIX L20 is uncannily similar to that of the Canon PowerShot A1100 IS. The two cameras have almost identical dimensions, the COOLPIX L20 is just 20g lighter and the body shapes are very similar, the L20’s right hand ‘bulge’ being slightly more angular. Round the back there’s a moulded recess for your thumb which makes this an easy camera to use one-handed. The most obvious visual difference between the two cameras is the COOLPIX L20 lacks the PowerShot A1100 IS’s optical viewfinder and has a 3in screen – substantially larger the the A1100’s 2.5in display. For a budget camera, the L20 also looks quite stunning: our review model was finished in a dark red gloss lacquer although the camera is also available in a not quite so alluring silver finish. Despite weighing little, the COOLPIX has a sturdy well-engineered feel that inspires confidence in its build quality. Underneath is the battery compartment which, like the PowerShot A1100 IS, takes a pair of AAs and is home to the SD memory card slot. The plastic tripod mount is located on the left underneath the lens barrel. The L20’s top surface houses the on/off button and shutter release in an inset panel. On the rear bevelled edge of the top panel there are two rectangular buttons; one activates a recording mode menu and the other switches to playback mode. Once you’ve pressed the playback mode button the only way to return to recording mode (apart from switching the camera off and on again) is to press the mode mode button. Pressing the Shutter release won’t do it and neither does pressing the playback mode button a second time. On the rear panel the zoom rocker is conveniently located just above the thumb recess. Below it is a menu button, a four-way control disc with central OK button and a delete button. It couldn’t get much simpler. The L20’s built-in flash, like just about everything else, fires automatically when the conditions demand it. There’s a red-eye reduction mode that pre-fires the flash to reduce pupil size before taking the photo and, if that doesn’t do the trick, in-camera software automatically retouches out any remaining red-eye. The flash can also be used in slow-synch mode for fill-in illumination, and turned off altogether. One other thing worth noting is the the maximum wide angle reach of the flash is a very generous 7 metres. It’s also reasonably quick to recycle, taking around 3 seconds between shots – about half the time taken by the Canon PowerShot A1100 IS. The COOLPIX L19 and L20 run on two AA batteries. Along with the L16 and L18 released a year previously, they’re the only Nikon compacts that don’t use a Proprietary Lithium-Ion battery. Alkaline batteries are supplied, but you’ll get longer life from a pair of NiMH rechargeables. The quoted CIPA (Camera Imaging Product Association) figures are 240 shots with alkaline batteries and 440 with NiMH. To get the correct battery level indication you must tell the camera what type of batteries are installed using the setup menu. No indication of remaining battery level is given until the batteries start to get low, which means you could leave home with a camera that appears to have a fully charged set of batteries and only discover that’s not the case when you arrive at the church for your brother’s wedding. On power up, the lens cover opens, the barrel extends 15mm and the camera is ready for action in a fraction under 3 seconds – not what you’d call lightning fast. The L20’s lens is a 3.6x optical zoom with a range from 6.7-24mm which, in 35mm terms, is 38-136mm. That’s only a few millimetres short of the Canon PowerShot A1100 IS at either end, but it’s a limited range to begin with and so every millimetre counts. This zoom is adequate for framing shots, but it isn’t what we’d call a true wide-angle. Above an equivalent of 35mm you’ll often struggle to fit everything in if you’re shooting indoors or large group photos. The zoom can be nudged through the entire range in either direction in eight discrete steps. When you hold down the zoom button the lens doesn’t advance smoothly through the range, but travels in a slightly jumpy fashion. You can’t turn off the digital zoom, so the zoom indicator on the LCD panel is split into two sections. If you keep your thumb pressed on the rocker there’s a slight pause before the zoom extends into the digital segment, at which point the progress bar turns yellow. The zoom then advances digitally in short staccato steps (about ten of them) to the maximum. The COOLPIX L20 doesn’t have image stabilisation but instead offers something called motion detection. What this basically does is increase the ISO in low light in preference to selecting a slower shutter speed that might result in camera shake. So if you were shooting the same scene with the COOLPIX L20 and Powershot A1100 IS, The Powershot’s image stabilisation would get you a 100 ISO shot where the COOLPIX L20 would need to boost the ISO to, say, 800. Effectively, this is making a feature out of something you’d expect the camera to do anyway: that is to say, if at all possible, choose a shutter speed that’s fast enough to avoid camera shake. The crops above are from shots taken with the Nikon COOLPIX L20 with the lens set to its maximum zoom length of 24mm (136mm equivalent) in auto mode. The crop on the left is from an image taken with motion detection turned off and the one on the right with motion detection in auto mode. For the right hand image motion detection has boosted the ISO from 400 to 800 resulting in a change in shutter speed from 1/15th to 1/30th of a second. For both shots the aperture was at its maximum of f6.7 and the ISO boost isn’t sufficient to eliminate camera shake. Had there been a little more light, or had the COOLPIX increased the ISO to its published maximum of 1600, it might just have managed it. One other thing that initially confused us and led us (wrongly) to suppose that the motion detection wasn’t working was that, although it displays a motion detection icon, the info on the LCD panel doesn’t provide an accurate reading of the actual shutter speed in use, so you can’t make an assessment of the likely success of the shot yourself. For both of the above shots the LCD told us that the exposure would be 1/15th of a second at f6.7. And as the playback screen doesn’t provide exposure information you can’t even check this after the event. It was only after we imported the photos and looked at the EXIF data that we saw the difference. The L20 compensates to some (small) degree for the lack of stabilisation with its BSS (Best Shot Selector) feature. This takes up to 10 shots while the shutter release is held down, selects the one with the least camera shake (by comparing file sizes) and deletes the others. The L20 has automatic face detection which locks onto and tracks faces in the frame. In good light this works pretty well, but indoors in artificial room lighting it was sluggish, and indecisive, often failing to recognise faces altogether and frequently losing a face having detected it. In the absence of people in the frame the L20 defaults to centre-region auto focus. The area in the middle of the frame between two square brackets is used to obtain focus, and this is swift and accurate. Even in very low light conditions this worked very well in combination with the AF assist lamp. Of course, if there’s nothing in the centre of the frame to focus on, you’re out of luck. This is easily remedied by simply aligning the subject with the AF frame then recomposing, but in a camera aimed at beginners and sold on ease of use we can’t help thinking the lack of multi-point AF is a serious shortcoming. The smile mode, which automatically shoots when a smile is detected and blink recognition, which displays a warning if someone blinked when you took a shot, goes a little way to making up for the omission. The L20’s 3in LCD screen features 230k pixels and produces a clear, well defined image that’s easy to see in nearly all circumstances. The viewing angle, both horizontally and vertically is pretty good, so you can still see the action while holding it above your head and friends won’t have to jostle for position to get a proper look at played back photos. The screen is slightly recessed and has a matt surface which reduces marks and fingerprints. You’d expect a matt screen to be less punchy than one with a gloss surface, but the L20 panel doesn’t suffer at all from lack of contrast. While 230k screens are average for most compacts, it’s impressive to find one on a camera as cheap as the L20 – after-all, Canon’s slightly pricier PowerShot A1100 IS only has a 2.5in / 115k screen. Pressing the L20’s menu button displays a two tab menu system with shooting and setup menus. The setup menu includes, among other things, date and time, LCD panel options, motion detection, card formatting, date stamping and image rotation. In Auto mode the shooting menu provides options for image size, white balance, continuous shooting and colour rendering presets. And that’s all there is to it. In Easy mode the available settings are confined to the image size options. The L20 has five shooting modes which are selected by pressing the mode button and choosing from the menu. Auto mode is the most sophisticated, if that’s the word, as it allows you to change the settings mentioned in the previous section – image size, white balance, continuous shooting and colour rendering presets – from the shooting menu. If those don’t interest you, you’re better off in Easy auto mode, which might more aptly have been called easier auto mode. In Easy auto mode all the decisions, except for image size and quality, are made for you. Easy auto mode also uses scene recognition which Nikon calls automatic scene selection, to determine the best exposure. Automatic scene selection recognises six scene types – Portrait, landscape, night portrait, night landscape, backlight and close-up and sets exposure and focus accordingly. If none of the above scene types is recognised the default auto exposure mode is used. Generally, automatic scene selection worked pretty well, though the opportunity to automatically select portrait scene modes was often overlooked, possibly as a consequence of the limitations of the L20’s face detection mentioned earlier. One thing the L20 lacks, which is often present even on basic point-and-shoot compacts, is the ability to manually set the ISO. Instead the L20 sets the ISO automatically for each shot, treating it as a kind of third exposure control. No indication of the selected ISO is displayed on the LCD panel, though an ISO indicator does appear if the camera raises the ISO above the default base level of 64. You might expect the L20 to select higher ISO levels as light levels fall in order to maintain a sufficiently high shutter speed to avoid camera shake and, up to a point you’d be right. In low light situations the ISO warning displays and the camera sets the ISO somewhere between 64 and 800 ISO. In bright sunlight the camera always selects 64 ISO and a fast shutter speed. And when it can’t maintain a reasonably fast shutter speed the ISO is raised. But in some of our test shots the camera wouldn’t increase the ISO above 400 even though that meant shutter speeds much slower than 1/30th of a second and resulting camera shake. To ensure that the ISO is raised sufficiently to produce the fastest shutter speed you need to enable motion detection. Even then the highest setting we saw in all of our test images was 800 ISO, leaving the top 1600 ISO option strangely absent even in shots taken with the fireworks and night landscape scene modes. In movie mode the L20 offers a best-quality option of 640×480 pixels at 30fps, or a reduced size of 320×240 pixels at 30 or 15fps. Movies are encoded using Motion JPEG and saved as AVI files. 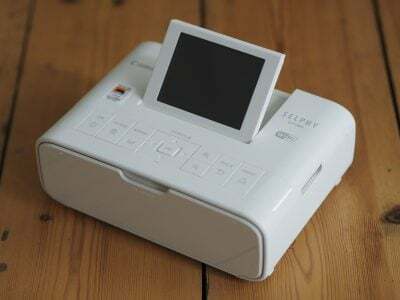 The maximum continuous recording time is 25 minutes regardless of the format or the card capacity. Registered members of Vimeo can download the sample shown here. The COOLPIX L20 can shoot continuously at a little over 1.4 frames per second a the highest resolution setting. The L20 also has quite a neat continuous shooting mode where it takes 16 shots and arranges them in a 4×4 grid in a single image. The COOLPIX L20 has a 10 Megapixel CCD sensor with a maximum image size of 3648×2736 pixels. At the maximum resolution there are two JPEG compression settings (normal and high) while all other sizes offer only one compression setting. Typical file size for a maximum resolution high quality image is just under 5MB. 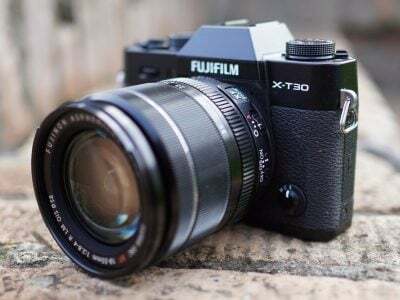 The camera has 20MB of built-in memory and a published ISO range (set automatically) of 64-1600, although again in testing it never ventured above 800 ISO. To see how the quality of the COOLPIX L20 measures-up in practice, take a look at our real-life resolution and high ISO noise results pages, browse the sample images gallery, or skip to the chase and head straight for our verdict.